“I’m waiting for good games, not good pieces of iron,” say the devs. Google’s Stadia might be completely streaming-based, but their backend server stacks boast some impressive specs nonetheless, touting 10.7 TFLOPS of compute power, which is more than what the PS4 Pro and the Xbox One X provide put together. However, if reports are to be believed, both Sony and Microsoft are looking to introduce next generation hardware that will beat even those numbers. However, the question remains, just how important will that really be, effectively? According to the developers of Interpoint, who recently spoke with GamingBolt in an exclusive interview, the answer is- not much. In their view, good games is something that the industry needs to strive for rather than just pure technical power, and the AAA industry needs to start exhibiting more creativity instead. “I do not think that the number of teraflops is something worth pursuing,” they said. “I’m waiting for good games, not good pieces of iron. I hope that the large AAA games will start to differ more from each other. Cross-play, however, is something that might effectively impact actual games and the way they’re played, which is why it’s surprising that Stony has stubbornly continued to hold out on it for so long. According to the Interpoint devs, while cross-play is obviously beneficial for players, Sony’s reluctance on enabling it with games on competing systems is still understandable. But does something like cross-play become more prevalent with the coming generation, maybe even becoming a key feature of newer hardware? When presented with the question, the Interpoint devs implied that they’d rather hold out for something more ambitious, and not wait on cross-play becoming a “key feature”. “If this is the key feature of the new gen, then I probably will stay on the old one,” they said. 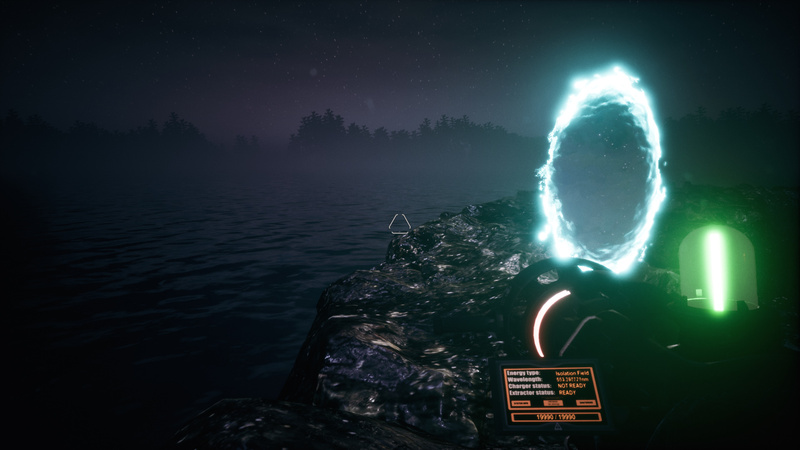 Interpoint, the first person sci-fi psychological horror title, launches for PC in early access in Spring, with a full release due out (on PS4 and Xbox One as well) later this year. Our full interview with the devs will also be going live soon, so stay tuned for that.